Milk, butter & coffee goes in a pan until the butter melts and coffee dissolves, then take of the heat. Stir in the sugar and walnuts, then the egg. Stir in the flour. 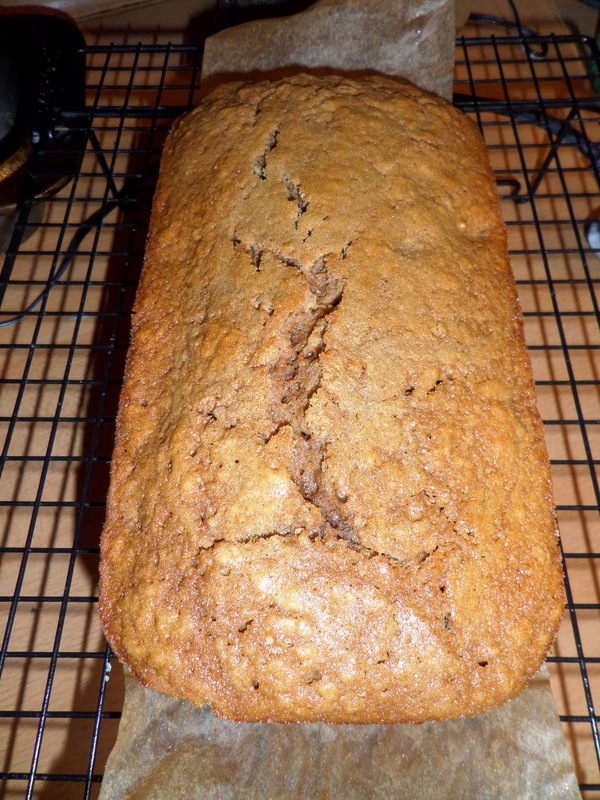 The mix goes into a 1kg loaf tin sprayed with oil, and lined with a parchment sling. The recipe called for 40 minutes at 160C… which assuming the book isn’t giving fan temperatures seemed low to us, so we went for 160C fan. As you can see that worked out fine! Mix the coffee and boiling water, and leave to cool. Beat the butter until soft, add the sugar, then the coffee mix. This goes on the cake, then some walnut pieces added. Unsurprisingly it’s delicious! 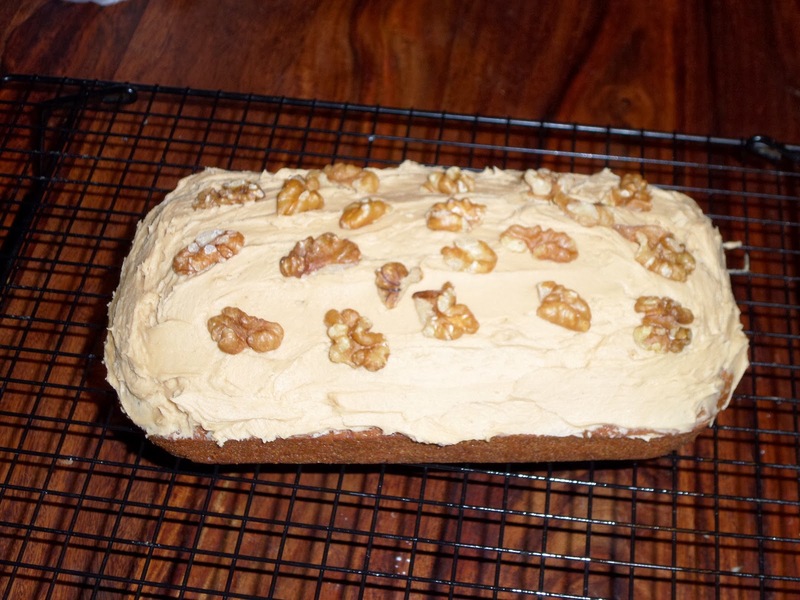 The cake is lovely and moist, with a good walnut taste and a nice crusty top. The cake itself doesn’t have much coffee flavour, but the icing makes up for this, and is a lovely creamy contrast to the crisp top of the cake.